Well, isn't it just a splendid June day! The weather has been perfectly lovely here (by which I mean sunny and pleasant, sometimes cloudy, seasonal temperatures, and no scorching humidity that causes my hair to balloon or my skin to break out in a bumpy heat rash. Gross :0) and I'm reveling in the quiet serenity that the summer provides. My kids finish up school next week (they go late here, indeed), and are both excited by a few summer road trips they have coming their way with both us and their grandparents. I read this with Sam, and we both absolutely LOVED IT. 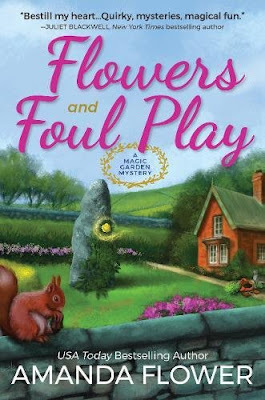 It's a cozy fantasy/mystery set in Scotland, and it has me dreaming of windswept coastlines, and knitting rugged cabled sweaters (we'll come back to that shortly :0). I highly recommend this author, I just love her! I pre-order all of her books, I enjoy them that much and want to support her! This is INTERESTING. It's about TWA flight 841, which plunged from 39,000 feet inexplicably, and nearly crashed, in 1979. 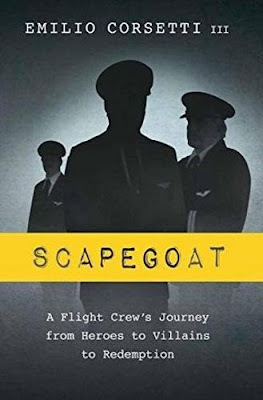 It was saved by it's crew within a few thousand feet from the ground, and this book details the incident from multiple perspectives, as well as the investigation and the dramatic saga of the crew afterwards. A fascinating non-fiction read! I am actually so excited about this undertaking that I am merely teasing it in this week's post. Next week, I am working on a full-on list, with pattern links and pictures, and an accompanying bingo-like graphic, of the projects I'd like to challenge myself with over the course of the next year. It is complete and utter ridiculousness, and I am LOVING IT!! I feel strongly that as a child and young woman, I did not challenge myself all that often. I was shy and reserved, and even making a new friend was putting myself WAY out there. In a sense, this time of my life is making up for lost time. One of the biggest leaps I took in my life was in my very late 20's, when I left my legal career and went back to graduate school for librarianship. I didn't start taking belly dance lessons until I was in my 30's, and that's also when I learned to knit (which bears no resemblance to crocheting, despite them both using yarn, so it was a totally new skill). More recently, I became a professional belly dancer and learned to drive a stick shift, two things that I thought I would never have the courage to do. These are healthy things on which to challenge myself, and I want to continue that trend. So. Next week. Dun dun DUN! The big crafting challenge list! I'm super excited. I can make it a little saga as we travel through the year together, with accompanying graphics and see how I do, lol. Do you have a bucket list of sorts? Generally, or within a specific hobby? I'd love to hear about it in the comments! Thank you for the book suggestions. You're reading the perfect Harry Potter book for Hogwarts at Ravelry this year. 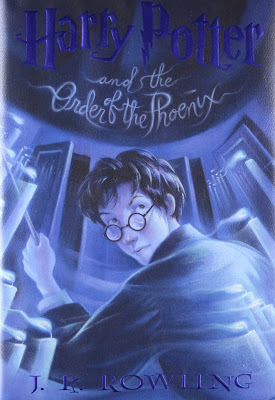 It is also the longest book in the series. Where in the book are you? You have me all excited to read your crafting post later in the week. Sounds like you could used some of your goals to qualify for the Hogwarts at Ravelry DA as well since it is all about meeting crafting goals. I've kind of got a bucket list although it includes places I'd like to visit more than crafting goals. For crafting goals, I'd like to learn double knitting because there is a Harry Potter themed scarf I'd like to knit someday. Melanie, oh yay, I'm so excited! I think I'm making the list too long though - I now have a sub-list for the list, LOL! I'm still getting organized, and I'm quite taken with the theme too. It should be up Thursday! Places I'd like to visit - absolutely. That's an outstanding bucket list to have! The scarf I'm interested in is here: https://www.ravelry.com/patterns/library/always-a-scarf-of-witchcraft-and-wizardry It is a paid pattern. Someone at Hogwarts recently mentioned this one https://www.ravelry.com/patterns/library/harry-potter-double-knit-scarf-2 which is similar and free. I haven't decided which one I want to knit but I still need to learn double knitting so I've got plenty of time to decide.